Construction Insure are a specialist broker in the construction industry and can offer bespoke advice on insuring waste removal contractors. Whether you have your own waste station or waste is taken back to a recycling centre or landfill. Whatever your waste and recycling insurance requirements, please get in touch today for a free no obligation quotation. At Construction Insure we insure companies who provide the complete range of services for Waste and Recycling, such as Skip Hire, removal of Commercial Waste, removal of Construction waste and waste disposal. We also provide cover for companies who carry out these services as a single specialism. As you know, waste management and recycling is a complex and wide-ranging industry. It covers everything from Waste Collection, Tyre Recycling and Scrap Metal recovery, to operating Landfill Sites and Skip Hire, etc. 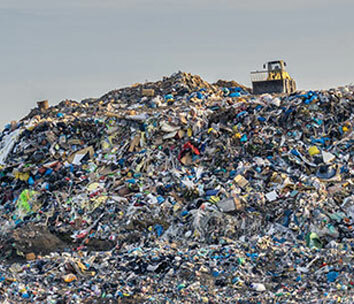 Safeguarding the environment by repurposing materials and disposing of waste is a high-risk, dangerous profession that requires training, experience and expertise. Working to protect the earth, water and air from contamination also means protecting yourself, your staff and the public from any risks. Dealing with hazardous waste exposes you to the possibility of accidents, injuries and environmental damage. It also exposes you to the financial damage of lawsuits against you and the resulting legal fees. You need to make sure that an accident doesn’t jeopardise your contracts and that legal costs don’t threaten to bankrupt you. At Construction Insure we specialise in insurance for the waste & recycling industry and the high-risk aspects of it. We have forty years of brokering insurance policies for the construction industry, obtaining the right cover at the most competitive premiums for clients in hazardous occupations like you. Why do you need Waste & Recycling Insurance? With four decades of insuring waste & recycling companies, we’re well aware of the demands and complexities of your industry. We know that every aspect of your sector has specific insurance requirements. For instance, where you use more than three vehicles: at a recycling centre, a scrapyard or if you hire out skips, vehicle fleet cover, in conjunction with a vehicle management strategy, can reduce your policy costs. If you’re involved in commercial waste removal or hazardous water disposal, you need to consider being covered for environmental pollution, transport risks and material damage to roads or buildings in the event of a leakage. We know the general type of cover that will protect you best are: Employer’s Liability, Public Liability and Business Interruption. We also provide specific insurance cover for different specialisms within the waste & recycling industry, such as: Skip Hire; Waste Collection; Plastic, Textile, Wood and Can Recyclers. We also provide insurance for Landfill sites, Anaerobic Digestion Plants, Materials Recovery Facilities and Scrap Metal Dealers. And we can cover you for transporting waste to Energy Plants and transporting liquid and other hazardous waste, including asbestos. We also provide specific insurance for tyre recycling and paper recycling. So, whatever aspect of Waste & Recycling you work in, we have the knowledge and experience to broker the best policy for you. And to make certain that your income and livelihood are financially protected. The first place to start is in considering the risks to your employees, your material assets and your financial security. It sounds like a lot to think about, but we’re here to guide you through the process. For instance, Employees Liability Insurance would cover any staff, or sub-contractors you’re using, in case of injury or work-related health issues. If you work in areas adjacent to the public, you’ll need Public Liability Insurance in the event of an accident resulting in an injury to a member of the public. You also have to think about your current Health & Safety provisions. relationship with you so, over time, we can help you find the best way of keeping your business fully covered and your premiums as low as possible. 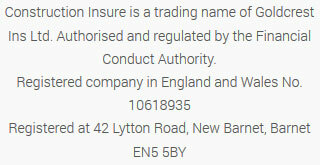 With some insurers, if you don’t follow Health & Safety guidelines completely, they’ll invalidate your policy. Which could mean that the cost of a claim against you could bankrupt your business. But we partner with you to keep that from happening. It’s why we work with you and try to understand your business to enable us to find the right policy at the right premium. We are also independent which allows us to access a wide range of options, we aren’t tied into using a specific provider and are happy to provide a range of no obligation quotations for you to choose from. So if you are looking for Construction Waste and Recycling Insurance then please do get in touch, you can reach us by calling 020 3958 6868 so we can discuss your requirements in more detail. Then we can get you the cover that’s right for you.